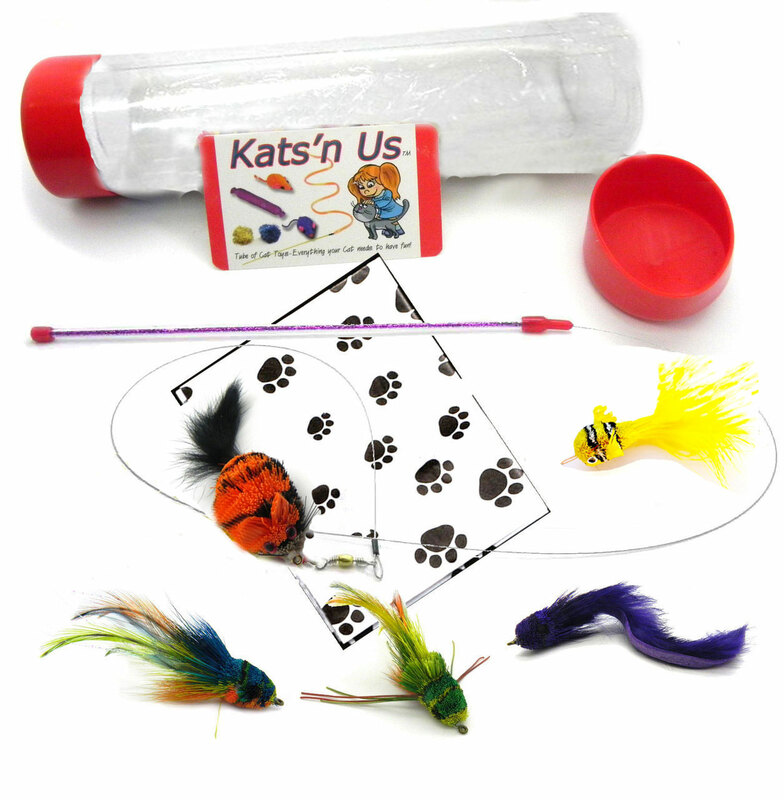 Cat toy Wand with 5 Kat Fly® Teaser Toys. 1 Yellow Clownfish, 1 orange striped mouse with rabbit fur tail, 1 blue swimming frog, 1 green swimming frog, 1 purple eel with rabbit fur tail. The wand is 12 inches long fiberglass with red vinyl handle.